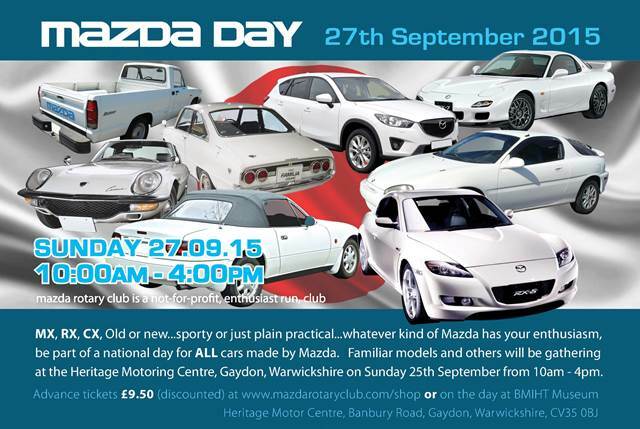 This year the Mazda Rotary Club have teamed up with Gaydon Motor Museum to bring you Mazda Day, Last years event was held at Brooklands Museum in Surrey and way a great success, however this year its moving home and further north. We hope to see you there. Remember all Mazdas are welcome not just Rotaries. After 11 years of high revving high octane action action Rotorstock 11 (Europe’s largest rotary gathering) kickes back in the relaxing setting of Billing Aquadrome. Previous Years have seen set in the backdrop of Santa Pod and Shakespeare Raceway but this year it returns to an old haunt. Here is an extract from post placed on the Mazda Rotary Club. This year’s Rotorstock gathering will be held at Billing Aquadrome, Northampton, the ideal setting for Car shows in central England. Billing Aquadrome, is set in 235 acres of Northamptonshire countryside set within the stunning Nene Valley. The Classic Car and Bike Show will be on the Saturday and the Sunday, but Rotorstock gathering is on Saturday 2nd August only. For those of you that are looking for more than a car show, you will also have use of all the other activities that are on offer at Billing. As well as the usual line up on Rotary metal there will be other attractions for the event. For those of you staying over, Sunday is Public Show Day and the return of the Show n Shine. Along with trade stands, accessories, auto-jumbles, and clothing, there will be competitions with trophies and prizes up for grabs. For those of you not familiar with Rotorstock get yourself over to the Mazda Rotary Club and take a look around. Is This The New RX-7? 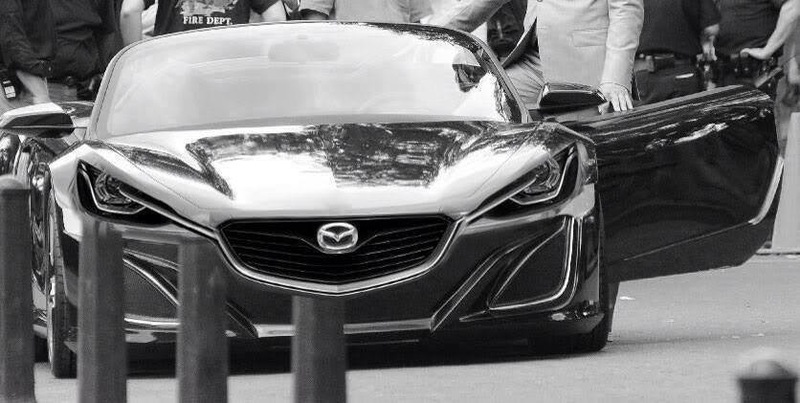 Is it the new RX-7 Prototype or even the new MX-5 Prototype? Roumor has is that whatever is releasxed first shall be sharing the chassis with the other. Either way its looking awesome and we think they have nailed the aggressive looks, lets hope that the production car does not fall too far from the concept. So this is the brand new home of Essex Rotary on the internet. We have had a facebook page for some time but it was about time we got some more web presence.So what can you expect to find here over the coming months? We will be keeping you up to date with new products and services that we will be able to offer so please check back on a regular basis to see whats new. Don’t forget to have a good look around and if there are any services that you would like to see us offer the rotary community then please get in contact.